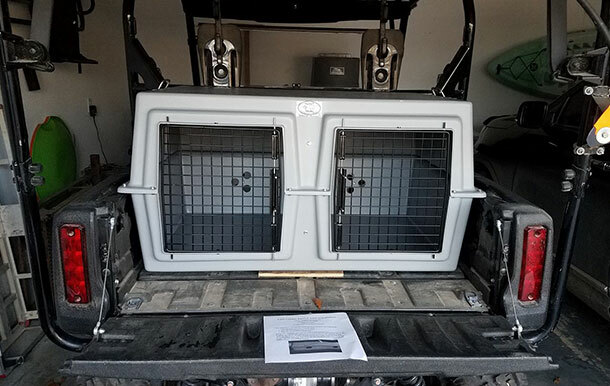 Testimonials | Easy Loader Kennels | Custom Molding Services, Inc.
Just wanted to drop you a line and say thank you for a great product. As a professional trainer and guide, I have several kennels costing exponentially more than yours but none that I like better. 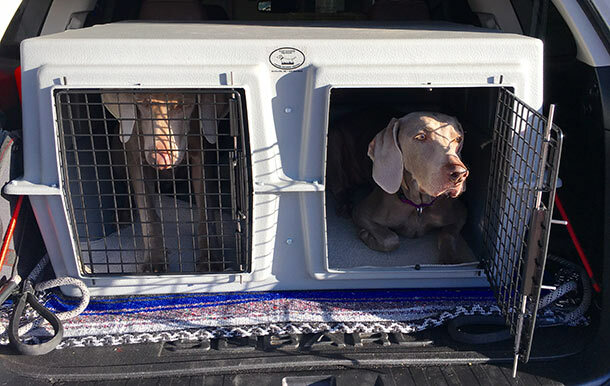 The light weight makes loading a pleasure, while the molded plastic design allows for complete and total cleaning, something that can never be fully accomplished with an aluminum kennel. The ability to fully sanitize the interior is great peace of mind, especially when hauling different dogs each day. This is the third one I have bought over 11 years and still use the other two. In fact one blew out (empty) in a dust storm at Blackwell, OK, went completely across I-35 and hung on a fence, and did not damage it one bit. I ordered and put the crate together and it fits perfectly in the back of my Subaru Outback! It's a great product and I have endorsed it on several Weimaraner forums! The only thing I should have done is had more vents installed... I live in Arizona and it gets hot here. Pictured below: Benson and Bella in their Deuce Kennel. I purchased an Easyloader dog box a few years ago and have been very satisfied with the quality of your product. I recently purchased one of your insulated box covers and door covers. Once again, I am very happy with the quality of product you provide for your customers. 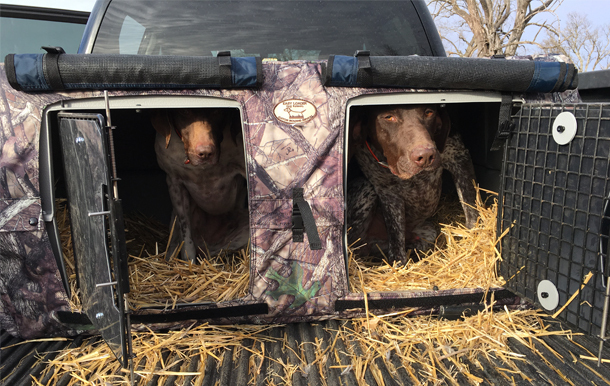 My two German Shorthaired Pointer's, Chip and Reaper, love their dog box as well. Keep up the good work! Pictured below: Chip and Reaper in their Kennel with box and door covers. My new kennel fits great in the back of a Honda Pioneer 700-4! !